I’d argue the Apple Watch is the best smart watch platform on the market, especially if you have an iPhone. You can get Android Wear, Samsung Gear, and Pebble smart watches to work with iOS, but none offer the capabilities of the Apple Watch. Even compared to an Android Wear watch with an Android phone, the Apple Watch still has a much longer list of features at this point in time. As a side note, a lot of what I think Apple should add are things I’ve been complaining about for a while, so eagle-eyed readers may recognize some of the mockups below. I stand by them, and Apple should really take a look. All that said, here’s what Id like to see Apple address in watchOS 4, which is surely coming out this fall. This is made all the more complicated in situations where I’m running/driving when I want to make the move without looking at the screen at all if possible. This requires too many steps and too much attention. AirPods make this an even more dire need, as AirPods do not have any media controls on them, so you’re going to be using your Apple Watch even more with them in your ears. The problem: Media controls are not good enough in watchOS. They take too long to access, and require too much attention. The solution: First add media controls to Control Center. Make them a system feature, and not just another app. Second, make the “swipe up” gesture on any screen in the OS bring up Control Center. Third and finally, if media is playing anywhere at the time you swipe up, bring up media controls and not the general Control Center items. Let’s hit those one at a time. The first point of adding these controls to Control Center is almost too obvious. This is how Apple treats these controls on iOS, and it would translate perfectly to the wrist. Second, making the swipe up gesture trigger Control Center from anywhere is huge. Like on iOS, it would be a swipe up from the bottom of the screen, so existing apps that need that gesture should be minimally impacted. It could get tricky on scrollable lists, but as long as you don’t swipe from the bottom of the screen then it shouldn’t be a problem. And if it is, the Digital Crown is there for that. Having these controls available from any screen fixes a common issue us runners (and anyone who exercises at all, really) experience when we have our workout app of choice running and need to leave that app and got to the Now Playing app to skip to the next track. It’s a pain every time, and it doesn’t have to be this way. If I could swipe up from inside the RunKeeper app, skip a track, and then swipe down to dismiss and be right back where I was in RunKeeper I’d be so, so happy. And third, watchOS knows when media is playing, so it should be smart enough to know that swiping up on the screen when media is playing means I always want to see my media controls. Every time, without fail. I don’t want say this is the only thing that matters, and I don’t think it’s the most likely thing on this list to happen, but I don’t think I can overstate how huge this would be for the platform. Apple originally pitched the Apple Watch as “the most personal device we have ever made” and I think there is a lot of truth to that statement, but it would hold a lot more water if Apple allowed you to make the watch face (aka the thing you look at most of the time you interact with your watch) look and behave the way you’d like. By my count Apple has 16 different watch faces built in and each can be customized with complications. Some people will tell you that’s enough. I know John Gruber has stated a few times that he doesn’t think Apple will ever let you download watch faces, but I pray that is not the thinking going on in Cupertino. I want to see what developers can come up with, and I would hope that Apple also provides a complications API to developers so they can create their wacky, beautiful designs and still incorporate complications as well. Android Police has a decent collection of some of the better watch faces to hit Android Wear recently, and while none of those designs my be right for you, can you imagine what some of your favorite iOS designers would create? I’d love to see a library of diverse watch faces that ranges from minimal to gaudy, and from simple time pieces to data-dense productivity faces. What if a spiritual successor to Pokémon Go was a watch face for the Apple Watch where you got to raise and train your little Pokémon all the time? A Tamagotchi for the 21st century! Even through watchOS 3 does even more than the previous versions of the software, Apple’s marketing has focused on it’s health features. And why not? Fitbit proved that there is a huge market out there who wants to have something on their wrist telling them how healthy they are. Get them in the door with health tracking, and then get them doing more. Apple Watch’s badges were pretty boring for the first year of the product’s life, as they were too static and you didn’t feel accomplished when you achieved them. Apple has already started to address this with their Thanksgiving Day and New Year’s badges that had specific goals for specific days. If you missed the goal, you missed out on the badge…forever. There should be more of these. Give me “Run your heart out” on Valentine’s Day, or “I would walk 500 miles” on St. Andrew’s Day. There’s tons more, but my Twitter feed goes nuts every time they add one right now, so adding a few more would be great for encouraging people to stick with the Watch. I have owned an Apple Watch since April 24, 2015, and I’ve worn it everyday since then. Yet the earliest my Activity history goes back is July 12, 2016. Why? Because my activity data is stored on my iPhone, and not online anywhere, and I had to restore my iPhone last summer for some reason. Now I don’t have the option to restore my phone because I’ll lose all my history. Good for security? I guess, but it baffles me why things like my general health data can not be stored online if I give Apple permission to do so. If Apple does not implement some sort of universal media control access like I mentioned in the first section, then they at least need to add them to their own Workout app. This should be an easy one. Come on Apple, you’re selling this thing for people to use to work out, so let them control their music/podcasts without wanting to rip their hair out. This is a cool feature, and one that some other wearables have already implemented. It’s easy enough to start a workout in watchOS today, but what if the watch was able to detect when you started doing a workout and start tracking automatically? In the same vein, they should be able to automatically stop certain workouts when it’s clear you are not doing it anymore. I sometimes will start an outdoor walking workout and then forget to turn it off when I get back. Then I look at my watch an hour later and suddenly I have an extra hour of credit for working out that I don’t really deserve. watchOS 3 already implemented an auto-pause feature, but it doesn’t seem to get it right all the time. This one is a particular thorn in my paw, as there is straight up no good way to listen to podcast on your Apple Watch if you leave your phone at home. The GPS built into the Series 2 model implies that they want you to be able to use this phone-free, but I can only load Apple Music and iTunes tracks onto the watch itself, and that’s insane. At the very least Apple should have their own Podcast app that syncs with their app and lets you load episodes onto the Watch’s internal storage. They let you do it with music, so I don’t see why you can’t do it with podcasts. 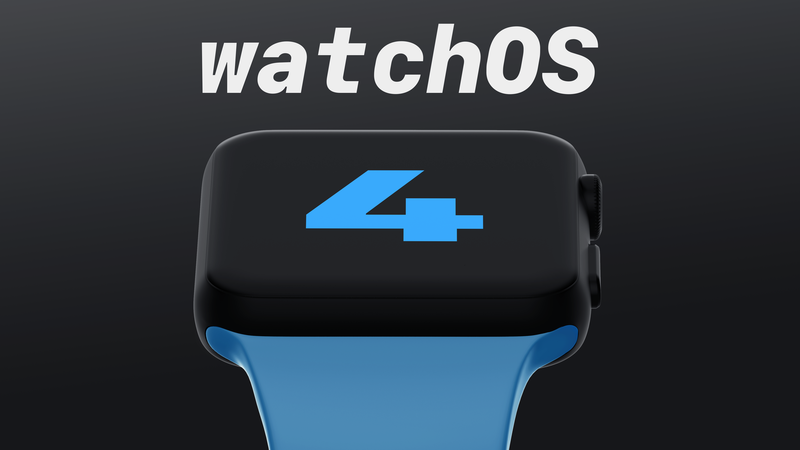 If they had this in watchOS 3, I would have bought a Series 2 Watch instead of the Series 1 I ended up with. While we’re on the subject of loading podcasts onto the Apple Watch, let’s talk about file transfers in general. Have you ever tried to sync music over to the Apple Watch? It takes literally about 1 minutes per song, and sometimes even longer. There is an app called WatchPlayer that lets you send podcast files to your watch, and a single episode of MacBreak Weekly took almost 30 minutes to transfer! And then there are the software updates, which take 30-60 minutes even for the small 3.x.x releases. Any time files are moving from the phone to the watch, it feels like time is standing still. You don’t do it often, so it’s not a problem I run into often, but when I do it’ so frustrating. This is likely a hardware limitation as the Apple Watch is a Bluetooth device and Bluetooth is incredibly slow for transferring data. Even so, I’d like to think that there is a better way to do it. Can they implement WiFi similarly to AirDrop to carry data faster? If this is a hardware feature, I predict we’ll see a “W2” chip, a follow up to the W1 found in the AirPods today, that aides in not only range and pairing, but also with data transfer speeds. This is something I was really expecting Apple to add in the new hardware they released last fall. The Apple Watch is very good at detecting when you want to see it and turning on quickly, but it’s not perfect. I should be able to see the time from any angle, even if the watch can’t tell I’m looking at it. In some ways this feels like when Android phones were way bigger than the iPhone and Android OEMs used that extra space to cram in more battery. The Apple Watch is still one of the smallest smart watches out there, and I’m sure it’s hard up for battery life, but the Series 1 & 2 watches are really good when it comes to battery life. My Series 1 routinely lasts about 36-48 hours per charge, and I would love to have the option to lose some of that time so that I could 100% know that I always saw the time when I looked at my watch. Apple gave this thing an OLED screen, this is the sort of stuff they’re supposed to allow! I’m stealing these from myself, but here are some concepts for low power, always on watch faces. And that’s just what’s installed on my Apple Watch. You probably have a whole different list with things I haven’t even thought of doing yet. There’s not exactly a lack of things to do on the Apple Watch, and that’s very powerful for them at this early stage in the product’s life cycle. Apple doesn’t need to reinvent the wheel with watchOS 4, they need to iterate on every little bit of the system to make what it already does better. Looking further down the road, Apple needs to do something to make the Apple Watch more proactive in displaying information and apps before you even ask for them, but major changes in that regard are likely not on the horizon for 2017. As a happy Apple Watch user, I’m more than happy to have a year of Apple refining the rough edges of the Apple Watch in meaningful ways. Now I just have to hope that their priorities are lined up reasonably with mine.